Hello, I’m Bonnie Burman, President of the Ohio Council for Cognitive Health. I am thrilled that our Council is partnering with Walk with a Doc to bring all of you important information about brain health and dementia. There is a lot we can do to help maintain our brain health by effectively managing chronic conditions such as diabetes, high cholesterol, and hypertension, reducing stress, having a positive attitude, engaging in social activities, being more physically active and challenging ourselves mentally. If we were to make just one suggestion for supporting mental health and memory it would be, “Exercise!” and walking is a great way to keep our heart and brain healthy! Exercise helps the body release hormones that make us feel great and aid in providing a nourishing environment for the growth of brain cells. We know that physical exercise is crucial for main­taining good blood flow to the brain, reducing the risk of heart attack, stroke and diabetes, but it also helps protect against the risk factors for Alzheimer’s disease and other dementias. Many of us have a friend or family member who is living with Alzheimer’s disease or other forms of dementia. There are many misconceptions about dementia. Dementia is actually not a specific disease. It’s an overall term that describes a wide range of symptoms associated with a decline in memory or other thinking skills severe enough to reduce a person’s ability to perform every­day activities. There are different diseases that cause symptoms of dementia. A common myth about dementia is that it is a natural part of aging, but Alzheimer’s disease and other dementias are in fact not a normal part of aging. 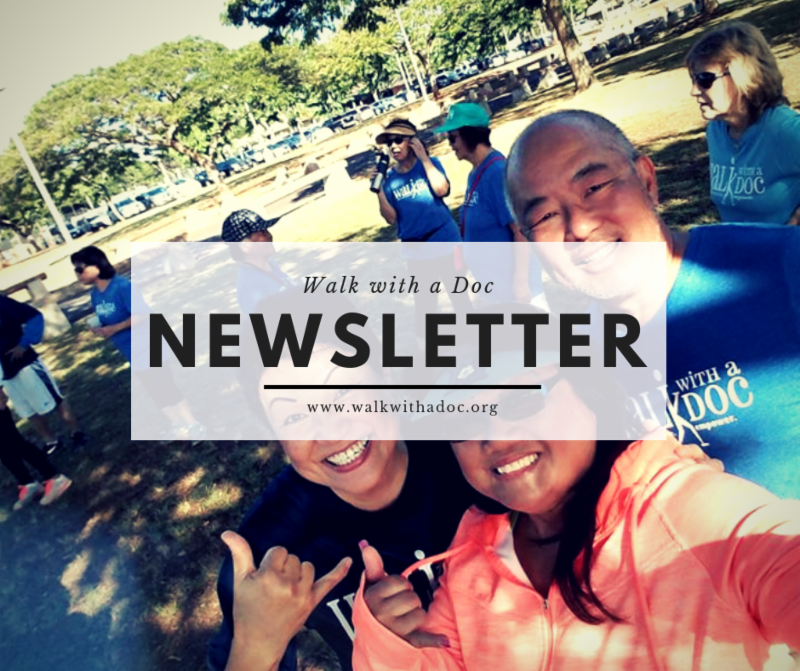 Because of the growing number of people affected by dementia, we are making it a priority to bring the Walk with a Doc community information about brain health and dementia. If you would like to learn more about ways you can keep your brain healthy, download our tip sheet. Enjoying the Newsletter? Share with a friend by clicking here. 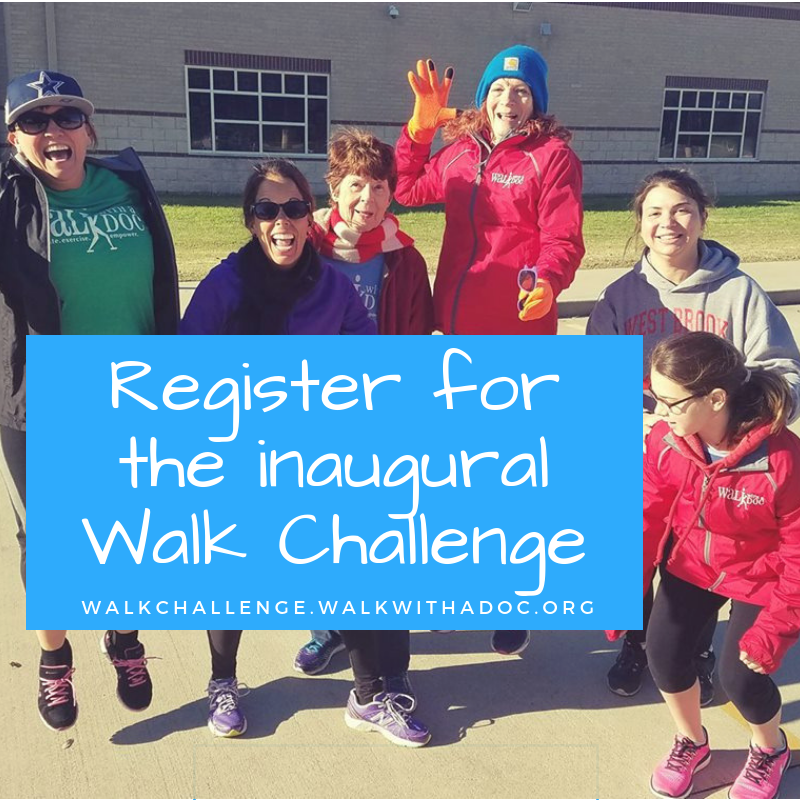 Help us Walk the World to Better Health. Donate Now!